I'm finished! Woop! It's been a long four years and it feels a little bit strange that it's all ended! However, I thought a celebration was in order, and what better way to celebrate than with cake! 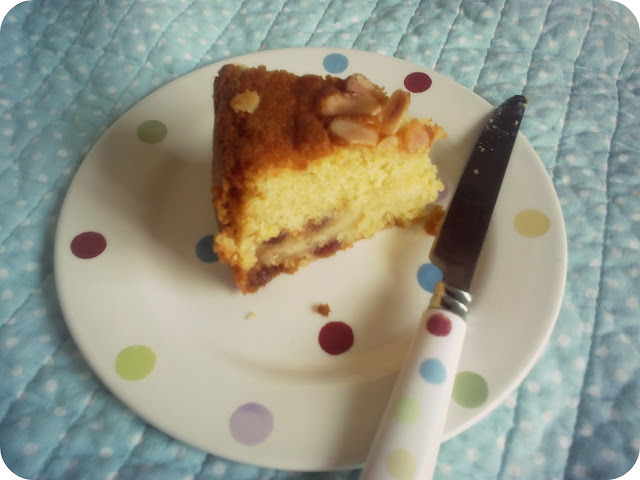 This is the Cherry and Almond cake my Mum made me for my birthday. It's so yummy, cherries are one of my favourite summer fruits! It's also got a naughty layer of marzipan running through it too! Preheat oven to 160C(140C for fan)/Gas 3. Grease and line a deep 20cm round cake tin. Pour in the beaten eggs a little at a time, adding a little flour and beating well after each addition. Fold in the remainder of the flour and then the cherries, ground almonds and almond extract. Spoon half the mixture into the tin. Roll out the marzipan into a 19cm circle, lay on top of the cake mixture and top with the remaining mixture. Level with the back of a spoon and scatter the blanched/flaked almonds on top. Bake for 1 hour 30 mins, covering with foil after one hour if it shows signs of burning. Leave to cool in the tin for 20 minutes and turn out onto a wire rack. I thoroughly enjoyed this cake! Just a note to bare in mind though, it did become a little greasy from the marzipan, but this can be remedied by buying the best quality marzipan you can find (..or if you can bear life without marzipan just omit it altogether). 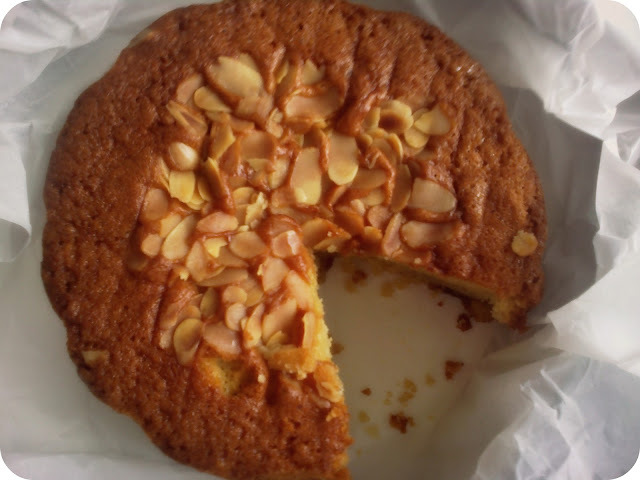 I'm a little bit of a marzipan fiend and can't imagine this cake without it! 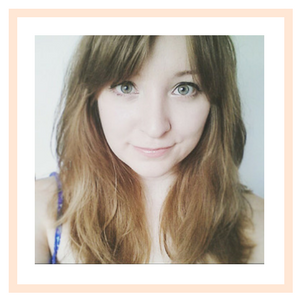 Also wanted to share some cute free printable stationery! I was searching around for some printable Thank You cards and came across these lovelies by Lisa Rupp. 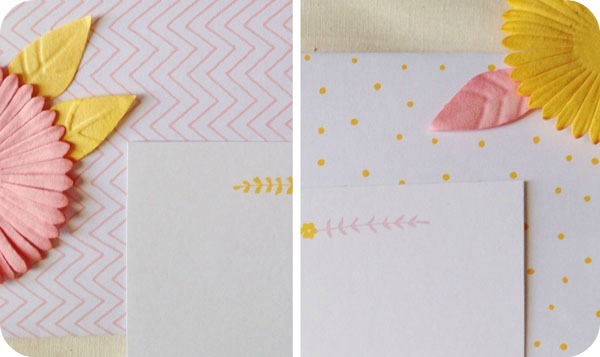 The patterns and colours are so pretty and perfect for a little spring/summer note! I've run out of coloured ink, but will be seeing how they turn out in black and white!